Hardly any reason is good enough for a victim of a workplace injury to be denied the compensation they so desperately need to cover for the losses incurred and all other damages that may have been caused by the event. Usually, in a misguided effort by the employer to save as much money as possible, some workplace injury victims are denied the adequate compensation needed. In a pro-active effort to ensure that the rights of employees are protected all over the United States, there is a recommendation for employers to take a set of steps in ensuring that their working environment and the methods of operation do not potentially place the employees in harm’s way. Although on the part of the employers, some have ignored this which has led to series of workplace accidents and injuries. Such injured employees are best advised to seek legal counsel from a work injury lawyer on the next line of action. It is the duty of a good work injury attorney to do all the research needed to back up the claims of a victim. Where the claimant is in need of legal advice, the attorney provides and above all he ensures that the best interest of the client is represented while at the same time making sure that at the end of the day, the client’s claims are maximized. Many claims have been won by the excellent effort of the work injury attorneys housed at Rawa Law Group here in South Gate; they have ensured that the victims of these injuries get the justice they need as well as the money to help reduce the burden they face. 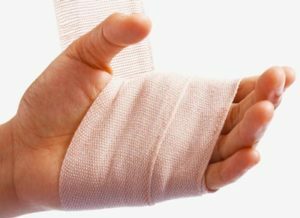 Our work injury attorneys in South Gate ensure that at the end of the day, there is a reason for our clients to be happy, as the procedure is made as hassle-free as possible.